have piloting experience in both the Atlantic and the Pacific Oceans. I am a US Coast Guard licensed 100 Ton Near Coastal Masters Captain (30 years). The “Kingfisher” is a 40ft Mediterranean with twin diesels. 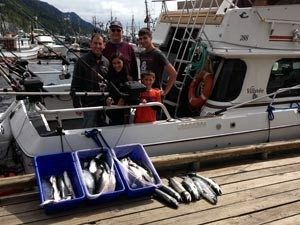 This vessel is quite spacious and fishes six passengers. 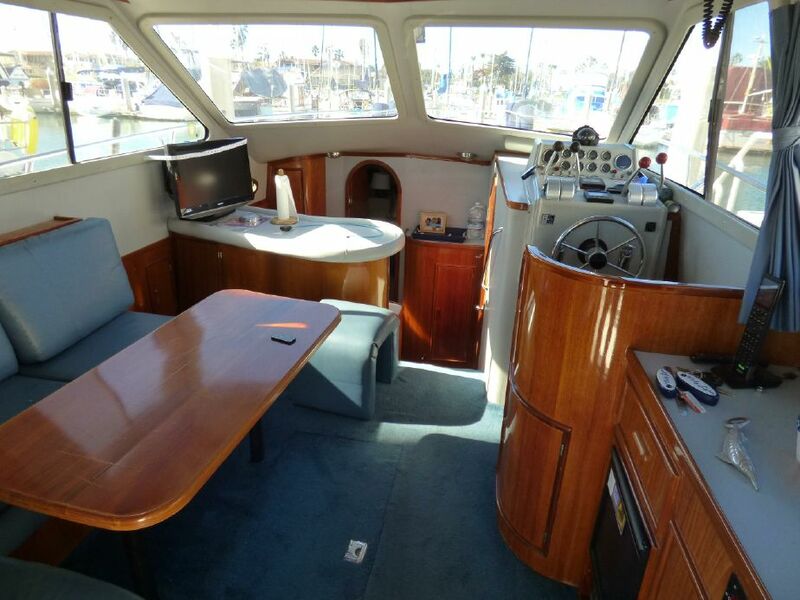 The "Pathfinder," is a Cruisers Inc. powered by twin 350hp Mercruisers and is 30 feet in length. She travels at 14 knots, so it is smooth sailing to your destination. 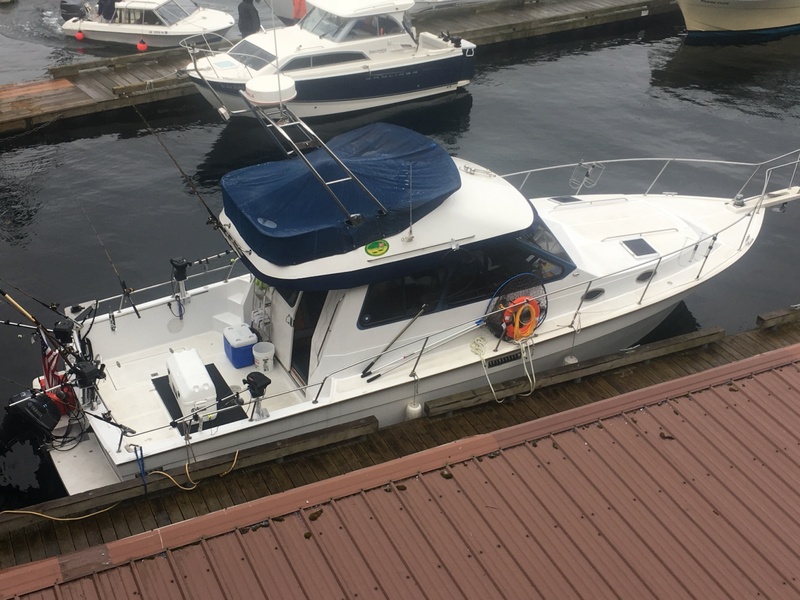 This vessel can comfortably fish a maximum of six adults. The required CG approved safety equipment. Rain Jackets of varying sizes. Four electric Scotty Fathom Master Downriggers. Penn Reels on Shakespeare Trolling Rods. We will get you FISHING! 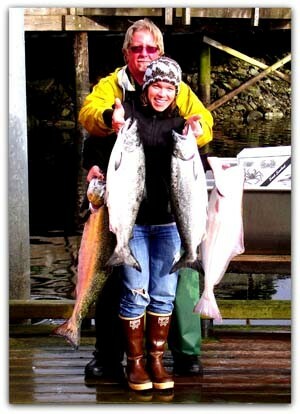 We want to take you fishing in Ketchikan even if you do not have four people, give us a call, we will try to get you fishing. 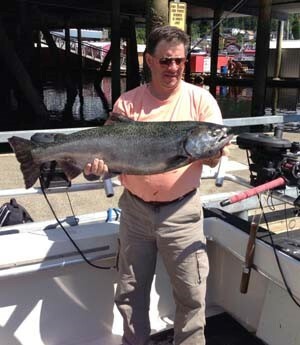 (Please contact us for groups smaller than three anglers to discuss rates). Call or Text 425-478-3681 or email today for specific information about licensing, rates or information about your upcoming trip to Ketchikan. We take PayPal.